PrepAhead and Dine In: Game Day..a prep ahead Super Bowl feast! We don't bring up the topic much in our house but sadly, the New England Patriots will not be in the Super Bowl this year. Because of this unfortunate circumstance, game day will be all about the food! We'll watch and cheer for somebody, but we're going to need some serious comfort foods to get us through the day! No one wants to be in the kitchen while there is a living room full of people enjoying some good commercials, food and football. I compiled a list of some of my favorite prep ahead party foods and listed them below with the appropriate links and recipes. First, I included a new recipe for some saucy slow cooker country style BBQ ribs. The rest of recipes are from previous posts and are my favorites to serve as part of a prep ahead game day feast! Enjoy! Scroll down to see the full recipes for each of these menu items or click on the link to direct you back to the archived posting! What's on the Menu you ask??? I like to cut them into smaller sections allowing the guests to spoon little "riblets" onto their plate leaving room on their plate for the rest of the delicious football food you are offering! In a slow cooker, mix together the ketchup, chili sauce, sugar, molasses, vinegar, oregano, worcestershire sauce, hot sauce, and salt and pepper. Place ribs in slow cooker and turn to coat. Cover, and cook on Low 8 hours, or until ribs are tender. Here are two easy and delicious prep ahead appetizer dishes that are perfect for a Sunday afternoon full of football watching! 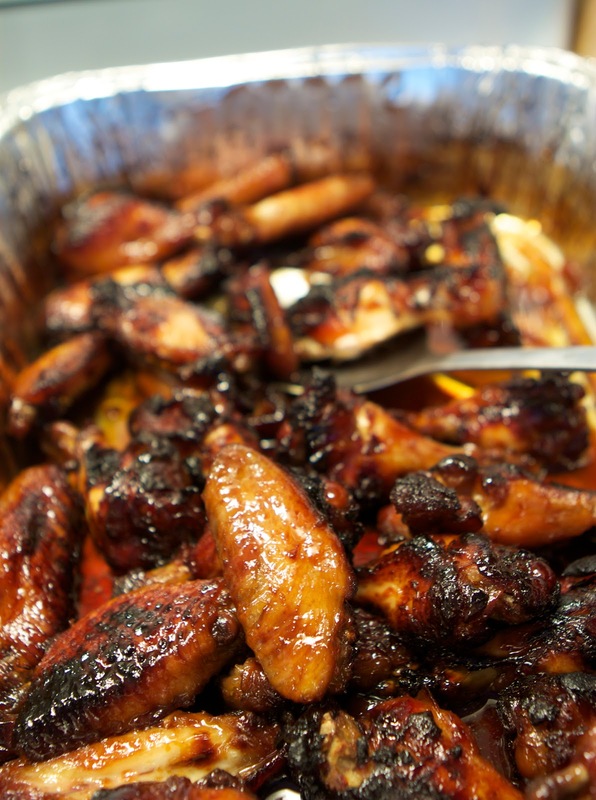 It takes less than 10 minutes to prepare these wings the night before you want to serve them. They bake up sweet, sticky and full of flavor! I like to buy a large foil pan to bake them in. This makes for an easy clean up! 1. Combine all ingredients in foil pan and mix until it is smooth and syrupy. 2. Mix chicken wings in pan and stir to coat. Refrigerate overnight, turning once. 3. Bake chicken at 350 degrees for about an hour and a half, covered. Drain all but about a half inch of the liquid. Bake an additional 1/2 hour uncovered. I like to broil them on high for the last 15 minutes or so until the skin gets a little crispy. The recipe yields a ton of queso. It freezes very well. I like to wait until it cools and spoon some into freezer bags to have on hand for another day. Thaw overnight in the refrigerator. Reheat in the microwave on MEDIUM. 1. Place onion in a microwave-safe bowl; cover loosely with plastic wrap. Microwave on HIGH 2 minutes. Stir in garlic and next 8 ingredients. 2. Roughly tear cheese, place in a 4-qt slow cooker. Pour onion mixture over cheese. 3. Cover and cook on LOW 2 hours. Stir gently to blend ingredients. Serve with tortilla chips. We have made these pizzas so many different ways. Here are a few options: Sauté vegetables of your choice in olive oil and garlic. Then, top bread with sauce, veggie mixture and cheese. Sauté spinach in garlic and olive oil. Then, top french bread with kalamata olives, feta and spinach mixture. 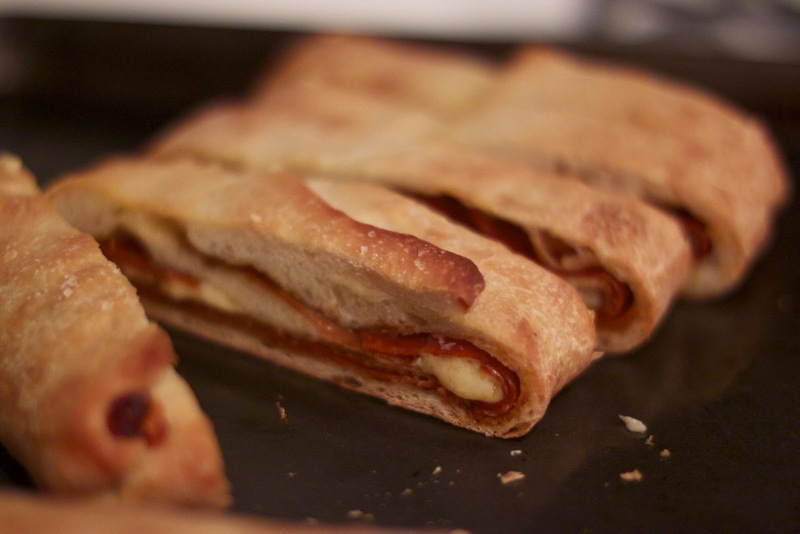 OR Stuff breads with sausage and pepperoni. 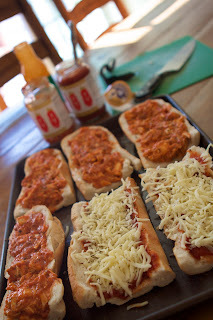 Then, top bread with sauce, meat mixture and cheese. So many options and so many ways to be creative! Prep Ahead Plan: These are great to prepare a few hours ahead of time especially if you are having guests over. Once they arrive, pop these in the oven, slice them up and leave them on a serving tray for guests to pick at. 1 large loaf of french bread, cut into 3 equal pieces then slice each piece as if you are going to make a sub (This leaves enough for 6 pizzas. We used 4 for the buffalo chicken and the remaining 2 were plain cheese. Use whatever sauce, cheese ratio you prefer for those and bake them the same amount of time as the buffalo ones). *If you like a cheesier pizza, top with additional shredded or fresh mozzarella before baking. 1. Preheat oven to 375 degrees. Scoop out most of the bread from the inside of each of the french bread slices leaving them to look like empty bread boats. Place them on a cookie sheet and drizzle each piece with olive oil (be sure to drizzle some on the crusts). 2. In a bowl, mix the remaining ingredients. 3. Stuff 4 of the 6 french breads with the buffalo chicken mixture. Top with more mozzarella for a cheesier pizza! 4. Bake for 25-35 minutes until cheese is bubbly and crusts are brown and crunchy! Prep Ahead Plan: Make the whole recipe ahead and warm the bread up, wrapped in foil, at 200 degrees for 30 minutes! 1. Put beer, butter, sugar, salt, flour, and yeast in a bread machine in the order recommended by the manufacturer. Select Dough setting, and press Start. 2. Remove dough from bread machine when cycle is complete. Roll or press dough into a 16 X 14 greased cookie sheet. Brush lightly with olive oil. Cover and let stand 15 minutes. 1. Preheat over to 375 degrees. Layer pepperoni over the entire dough that was rolled out onto the cookie sheet. 2. Layer slices of cheese over the pepperoni. 3. Sprinkle with seasonings. 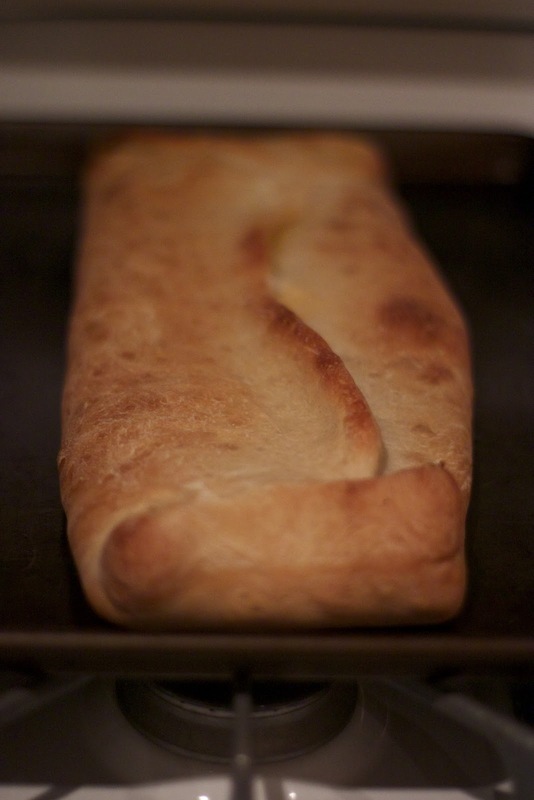 Fold each side in so it meets and closes the loaf. Roll ends in and fold to close. 4. Rub with olive oil and bake at 375 degrees for 25-35 min. Be sure to cool for about 15 minutes before cutting so you don't lose all of the cheese! This is a great prep ahead entertaining recipe! I like to make them the night before and heat them up the next day before guests arrive by keeping them in the slow cooker on the warm setting. Guests can help themselves right from the pot. Prep Ahead Plan: There are a few different options in preparing these ahead of time. 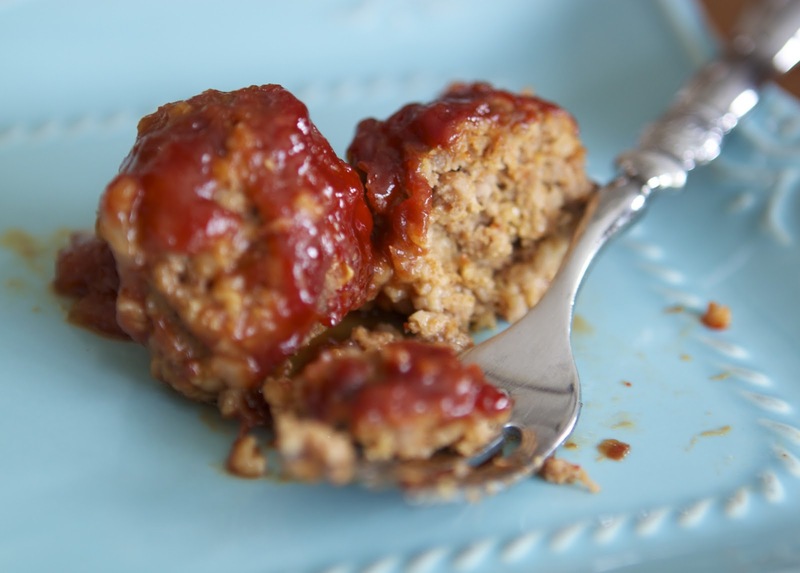 If I am serving these for dinner, I prepare them in a baking dish and refrigerate them raw, covered in sauce until I am ready to bake them up for dinner the next day! If I am serving them at some kind of gathering, I usually bake them up the night before and warm them in the slow cooker when I am ready to serve them. Preheat the oven to 350 degrees F and lightly grease (or spray) a 9 X 13 baking dish. In a bowl, mix beef, egg, oats, milk, salt, pepper, garlic powder, chili powder, and 1/2 cup onion. 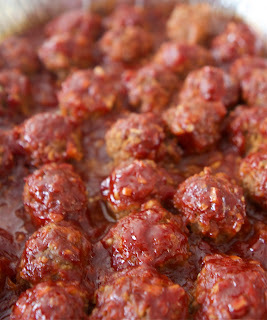 Form into 1 1/2 inch balls and arrange in a single layer in the baking dish. In a separate bowl, mix sauce ingredients. Pour sauce over meatballs. Bake uncovered 1 hour in the preheated oven, until the minimum internal temperature of a meatball reaches 160 degrees F.
Baked Mac and Cheese...perfect for all of those kids running around the living room on Sunday! 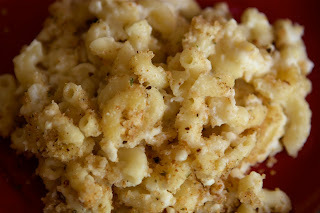 I think I have about 5 different versions of homemade mac and cheese recipes. They are all variations of the same idea: whip up a cheese sauce on the stove, mix it with elbow pasta, top with ritz crumbs and bake. I found this recipe on one of those online recipe sites a while back and immediately liked it for two reasons: 1) It had over 1,500 five star reviews AND 2) You mix all of the ingredients in the 9 X 13 pan, then stir in the pasta. No melting and mixing up a cheese sauce, no bowls to wash and nothing to chop. Sounded good to me! When I first read the ingredients I wasn't sure if the flavor combination was something my family would enjoy but I made it anyway. How could over 1,500 people be wrong? They weren't. 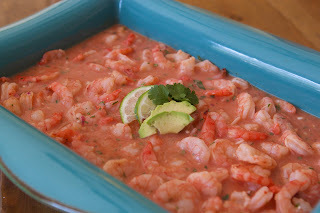 It is delicious, easy and can be prepped the night before! Here is my adapted version of the original recipe! Preheat oven to 350 degrees F . Bring a large pot of lightly salted water to a boil, add pasta, and cook until done; drain. Spray a 9 X 13 inch pan with cooking spray. In the 9x13 inch baking dish, stir together shredded cheddar cheese, cottage cheese, sour cream, milk, Parmesan cheese, salt and pepper. Stir in macaroni until covered with the cheesy mixture. In a small bowl, mix together bread crumbs and melted butter. Sprinkle topping over macaroni mixture. ***Prep Ahead: Make the whole dish the night before. Takes 10 minutes to boil the pasta and mix up the cheeses. Refrigerate until the next evening! To make salad: Use 1 head romaine lettuce, 1/2 cup chopped parsley, 1/2 cup parmesan cheese and 1/2 cup croutons. 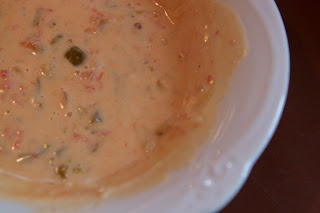 Add desiree amount of dressing and mix! Copyright © PrepAhead and Dine In: Game Day..a prep ahead Super Bowl feast!. All Rights Reserved.